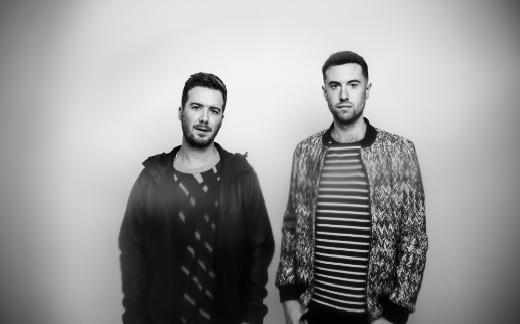 Gorgon City duo, Kye Gibbon and Matt Robson-Scott, have achieved quite startling success since forming in 2012, from a run of chart hits and star collaborations at home to an international presence that increasingly sees them getting stuck into hard touring and playing to enormous crowds of dedicated fans around the world. There’s never been a single breakthrough moment for them, rather a continual accumulation of achievements based on an intense work ethic and understanding of their audience, along with a willingness to experiment and step out into the unknown. The past year and a half since ‘Sirens’, Gorgon City’s debut album, has definitely been crazy. Co-curating a compilation album with Pete Tong, remixing and collaborating with long-time heroes like Basement Jaxx and Underworld, creeping ever-higher on the billing in US and UK festivals, embarking on a proper transcontinental tour of the USA in two tour buses over the best part of a month, untold DJ dates, and still finding time to conjure up an embarrassment of riches in the studio: there’s scarcely been a moment for the pair’s trainers to touch the ground. Yet there is not a sign of jadedness from them yet. If anything, the new material shows them settling into their groove and being more confident in branching out in all directions, from main-stage bangers to underground club groovers, 21st century hyper-pop to twisted acid house and righteous breakbeat, it’s the sound of two young men still having the time of their lives.